The 2007 official release of 'Family Tree' has at last delivered some of Nick Drake's home recordings in very good quality condition. Some of the tracks on this boot 'Time Has Told Me' appear on the official release, and the re-mastering is notable. So the message is simple, get hold of a copy of 'Family Tree'. However for those of you in search of more, 'Time Has Told Me', is a superb collection. 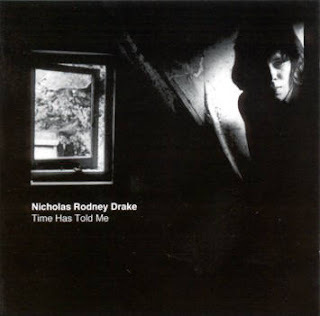 Originally surfacing as a three album vinyl release, and then a two CD version, 'Time Has Told Me' contains good audio quality material, predominately home recordings, of which many are covers of artists songs. The sheer volume of material, and the historical value of hearing Nick developing prior to his first album release, is of significant value to those who love his music. 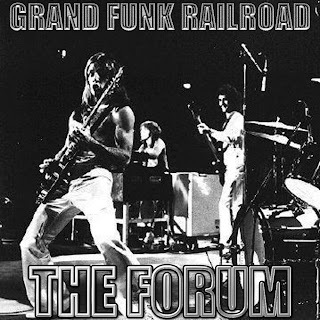 This is Grand Funk Railroad live at The Forum, Los Angeles, USA, on the 2nd June 1974. The Grand Funk Railroad lineup was highly popular during the 1970s, having sold over 25 million records and selling out arenas worldwide. The band were awarded four RIAA gold albums in 1970, the most for any American Group that year. The current Grand Funk Railroad lineup uses the nickname 'The American Band', from their hit song 'We're an American Band'. A popular take on the band during their heyday was that the critics hated them, but audiences loved them. Any how for some good old seventies, foot stomping stadium rock (complete with self indulgent but thankfully not too long drum solo), this concert fits the bill.